The Carton Source Program provides over 3500 popular office supply items at discounts up to 80% off MSRP when purchased in full carton quantities. Please note that there is a $200.00 net minimum order, and you should allow 3-4 days for delivery of Carton Source orders. Note: Carton Source prices are updated quarterly, so please verify that you have the current price list. 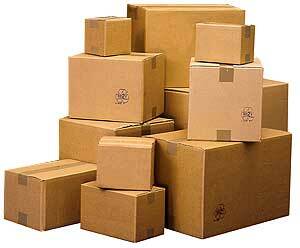 We offer free delivery on carton source orders within our normal delivery area. On orders outside of our delivery area, arrangements can be made for pick up in Granbury, TX , Irving, TX or orders can be drop shipped with normal shipping charges applied. 1. Download the Carton Source price list and verify that the item you want is included on the Carton Source program. 3. Note that orders must be in carton quantities only. (ie. Item ACC12292 has 15bx. per carton, therefore orders must in muliples of 15 bx. such as 15, 30, 45, etc. boxes). 4. Place the words “Carton Source Order” on your purchase order and fax to 1-866-579-0213.